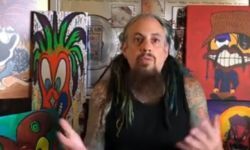 “New York, NY: Roadrunner Records announced today the worldwide signing of multi-platinum, genre-defining hard rock band Korn to the label. 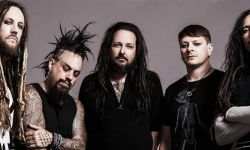 Korn III – Remember Who You Are is the band’s ninth album overall and their first album for their new label. It was produced by Ross Robinson, who also manned the boards for the band’s explosively definitive self-titled 1994 debut, as well as the follow up, 1996’s Life is Peachy. Fieldy also checked in from the band’s current tour, taking time to greet fans while the band was trekking around the snowy Alaskan terrain. 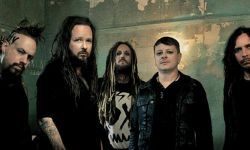 It’s beyond evident that Korn are one of a kind and have secured a firm place in the history of rock ‘n’ roll, thanks to their signature blend of twisted, throbbing guitar riffs, syncopated chaotic funk beats, a schizophrenic bass thump and an unmistakable cathartic howl. Korn‘s current lineup is Jonathan Davis (vocals), Fieldy (bass), James “Munky” Shaffer (guitar) and Ray Luzier (drums). Korn III – Remember Who You Are retains that savage, raw energy that made Korn such a crucial fixture to an entire generation of diehard fans.